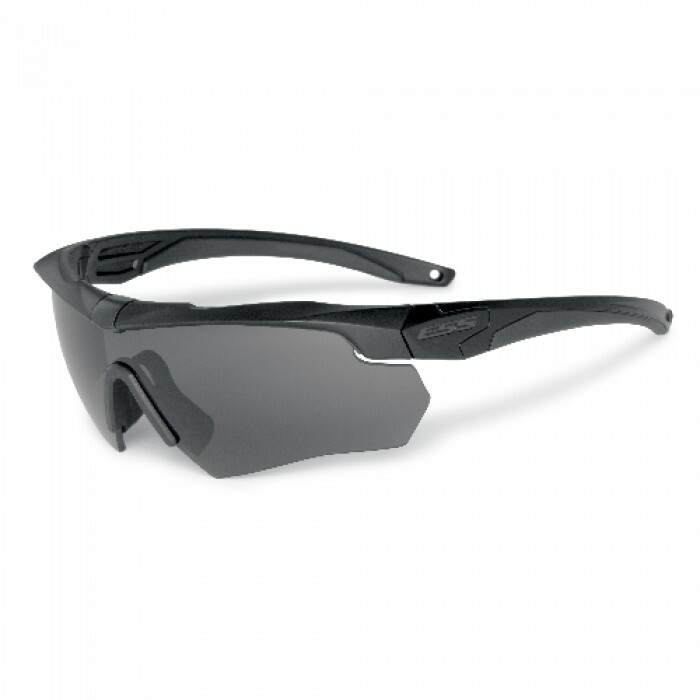 The Ballistic Eyeshield™ with Transitions Optics™ Light-Adapting Technology. 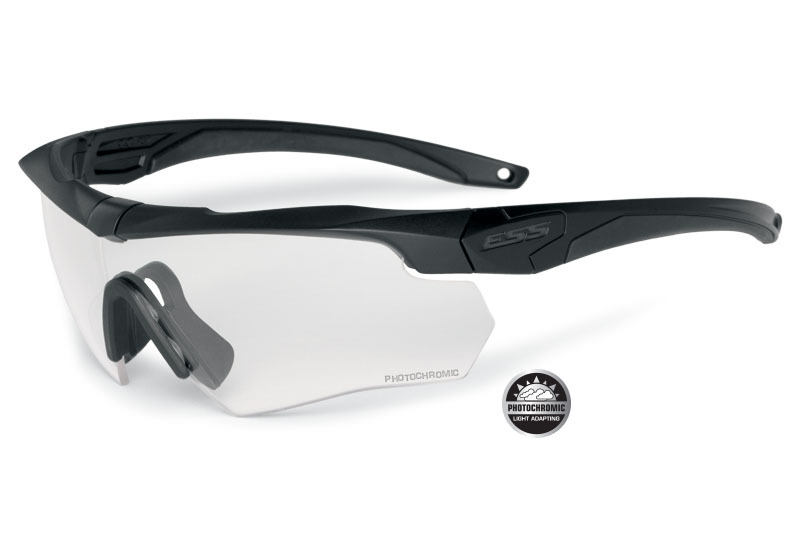 The ESS Crossbow Photochromic® eyeshield are created using Transition Optics Lenses and have redefined performance and utility for eye protection. Its ClearZone™ FlowCoat technology minimizes scratches. 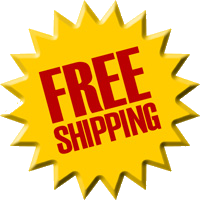 The Tri-Tech™ Fit ergonomics offer universal comfort and stability with zero pressure points. 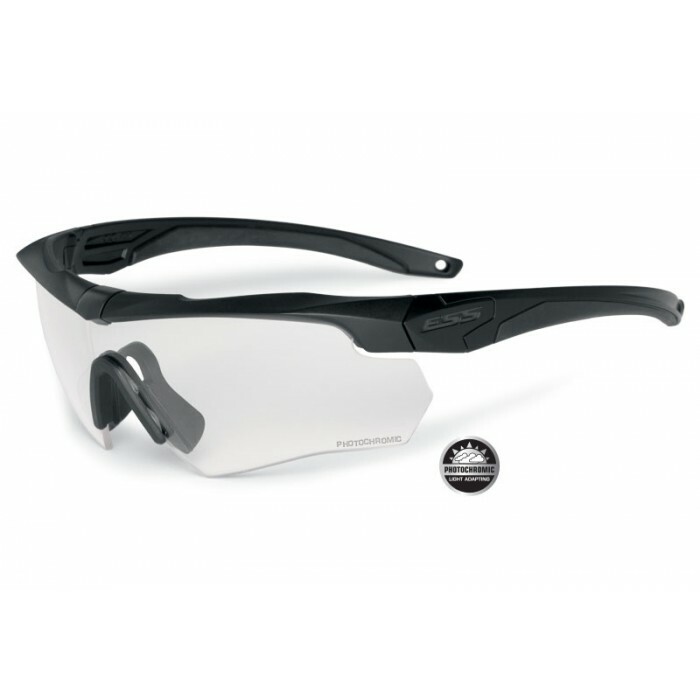 Clear ESSOPTICSTM exceed rigorous standards, offering a true view of your objective. And the Crossbow’s patented DedBolt™ Lens Lock pivots open for quick lens exchange or locks shut for rock-solid retention under impact. 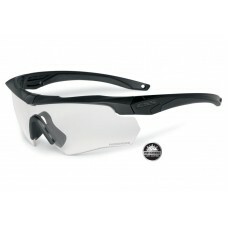 ESS CDI BALLISTIC SUNGLASSES The resilient, battle-hardened CDI™ sunglass h..
ESS CREDENCE™-BALLISTIC-SUNGLASS-SERIES With Credence™, seeing is believin..
ESS CROSSBOW POLAR ONE SUNGLASSES Introducing a high-impact, ANSI Z87.1-rated Polariz..
ESS CROSSBOW SUPPRESSOR ONE SUNGLASSES The ESS Crossbow Suppressor™ is the fi..
ESS CROSSBOW SUPPRESSOR 2X KIT SUNGLASSES The ESS Crossbow Suppressor™ is the..